SEATTLE - Globalization, urbanization and air travel mean not only that disease respects no borders but that it can reach the scale of a pandemic in days. No country is immune, regardless of economic or military power. At the same time, emerging shifts in society, such as aging and increasing drug resistance, are challenging existing responses. Japan has set the gold standard in national universal health coverage and is a pioneer in the development of new drugs. In less than half a century, it has transformed itself from a developing country rife with infectious diseases into the nation with the highest life expectancy. Public health programs now form the foundation of many of the World Health Organization’s current strategies. However, despite this tradition of public health, Japan is struggling with how best to tackle several complex issues. Japanese health care policy is still organized around 20th century thinking, and in one key respect, Japan has not even caught up to 20th century best practice: It lacks an empowered chief medical officer. This commentary explains the role that a CMO plays in public health policy and argues that the government needs to empower this position. A CMO advises the prime minister on health matters and conveys information to the public. Several functions are crucial to understanding what makes a CMO effective as a champion for public health. The first is that this post serves as the senior medical adviser to the government as a whole — not just to the health ministry. The CMO in most countries has influence across ministries and can propose policies that address the links between public health, international trade, education and foreign affairs. The CMO must also be a trained medical professional. This is critical to ensure that this person is informed by science, not politics, and can act as a health spokesperson. The latter function is crucial in instances where the public may have varying degrees of literacy in medical concepts and an official is needed to address skepticism about the merits of a policy. Although Japan has a CMO (called the chief medical and global health officer), this individual is not empowered to act. This is partially due to the newness of the post: The government created the position in 2017. However, anyone in this role will face challenges given how the position is currently structured. Within the Health, Labor and Welfare Ministry, this officer reports to the minister and possesses the authority of a deputy minister. The position is mandated to coordinate, but not lead, public health efforts. The CMO does not have the authority to work across agencies and is unable to elevate issues to the Cabinet level independent of the health ministry. Thus, this officer is not an independent spokesperson for public health issues, rendering the position symbolic. While the creation of this position represents a positive step for Japan, the government must enhance its authority. The argument for an empowered CMO in Japan is more than just academic. The country is already suffering from its absence. The debates over smoking and vaccination are cases in point. 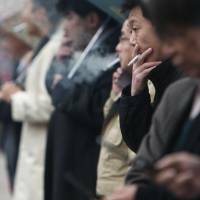 Smoking: With the 2020 Olympics approaching, restaurant owners, health experts and politicians are embroiled in a debate over Japan’s smoking laws. While public facilities have increasingly banned cigarettes, a new regulation that Japan recently enacted has failed to completely ban indoor smoking in public spaces. 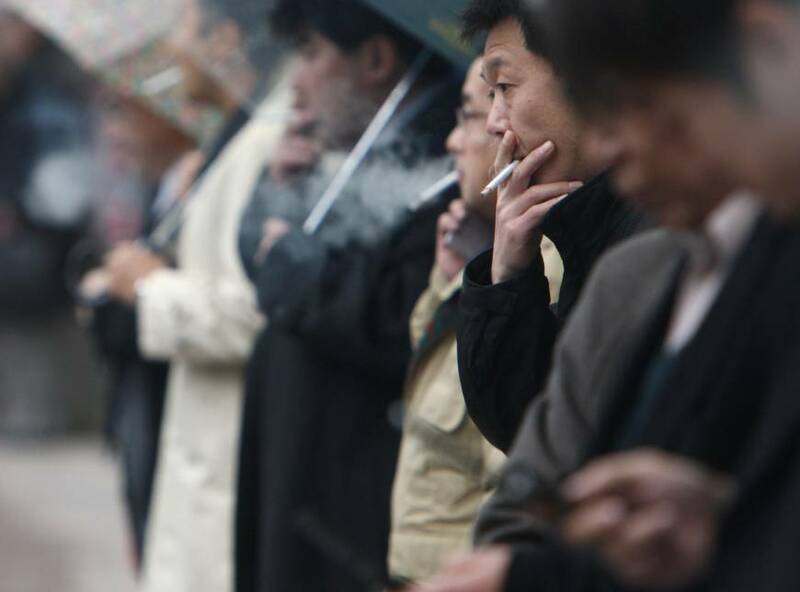 An indoor-smoking ban carries financial and political implications across the government and industry, considering the Finance Ministry is a shareholder in Japan Tobacco. Public health appears to be a secondary concern in policy arguments for and against a ban. This is the sort of situation where the CMO should step in to provide evidence-based guidance on the issue — in this case, information on the effects of smoking on public health and the impact of changing smoking policies. Although the health ministry supports a ban on smoking, it has been passive on this issue. This is despite evidence that a ban would have benefits for the population. The decision needs to be made at the Cabinet level and requires a strong CMO to champion a ban and educate the public. Vaccination: Vaccine-related controversies have regularly occurred in Japan over the decades, and the lack of a CMO may be why. Without health experts in senior positions, damaging misinformation based on pseudoscience can spread. One case in point is the drop in human papillomavirus (HPV) vaccinations, which prevent the spread of cancerous strains of HPV. Within three years of becoming available, the vaccine became part of the free national immunization program. In 2013 a campaign against the vaccine claimed that it caused debilitating side effects. An academic who countered these claims uncovered that the misinformation stemmed from a study conducted by a respected Japanese doctor, whose data was fraudulent. Despite the available safety data and the fact that none of the consequences were substantiated, parents still avoid vaccinating their children. The CMO should elevate the issue to the Cabinet level and work across ministries on a public awareness campaign. Instead, the health ministry fueled media coverage of the issue by suspending promotion of the vaccine, despite finding no evidence to support the false claims. Though the ministry did not suspend use of the vaccine, this action created the perception that the reports had merit. Though this controversy erupted before the CMO was appointed, the CMO has not stepped in to counter false reports. It is possible that this issue is being treated as outside the scope of the officer’s duties, or there is more going on than meets the eye. If Japan’s chief medical officer cannot provide guidance on a public health issue, what is the purpose of the position? Japan needs a Cabinet-level official who can inform national efforts to create best practices for addressing key health concerns. If empowered to do so, the CMO could increase the visibility of Japan’s medical science agenda and advance public health. By elevating the authority of the position, the government could leverage its creation of the Japan Agency for Medical Research and Development (AMED). The agency was established in 2015 to drive basic R&D and accelerate its translation into commercial products. The CMO could work with AMED to identify health challenges for which research is needed. The science and innovation agenda has worked its way to the government’s agenda and is a critical component of the economic and security strategies of the administration of Prime Minister Shinzo Abe. This makes an effective CMO all the more important in Japan. Government officials are rarely immune to politics, and a CMO needs to balance political pressures with the job’s demand for an impartial expert. To make Japan’s public health policy successful in the 21st century, the position must have statutory independence. The role of spokesperson may prove challenging in Japan — where reservation is admired, outspoken criticism is unseemly, and vice ministers perform their duties quietly. The fact that few government officials have clinical or laboratory training creates a communication gap for the CMO. But both the country and government would benefit from the views of a trained medical professional. Empowering this person to navigate the interconnections between health, science, research and policy could address critical public health threats of today and tomorrow. Ryo Kubota is chairman, president and CEO of Acucela Inc., a subsidiary of Kubota Pharmaceutical Holdings. He is also a member of the board of directors at the National Bureau of Asian Research in Seattle, and a visiting professor at Keio University School of Medicine.